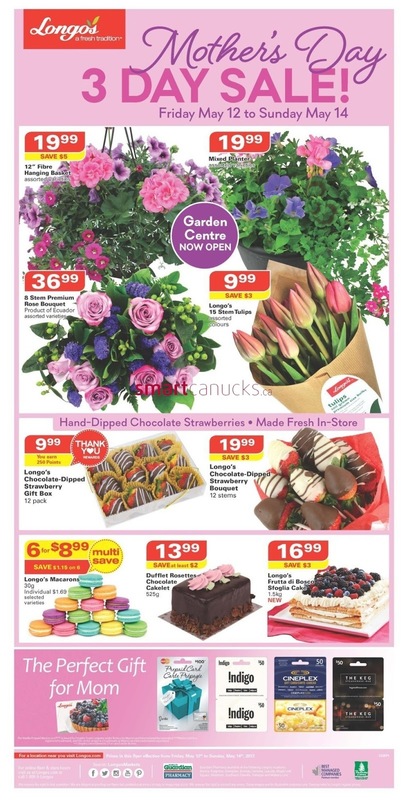 Longo's Flyer 3-Day Sale. Spil Mom on Mother's Day see back for sweet specials, longos a fresh tradition 3 day sale Friday May 12 - Sunday May 14, 2017. 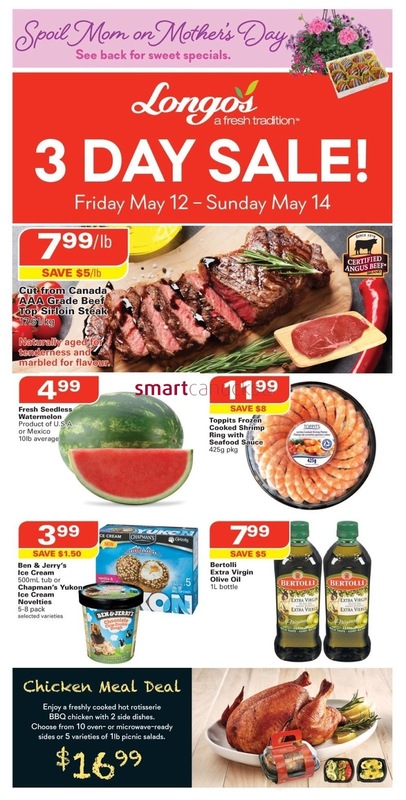 Naturally aged for tenderness and marbled for flavour 7.99/lb save $5/lb cur from Canada AAA Grade beef top sirloin steak 17.61/kg, FResh Seedless watermelon product of U.S.A or Mexico 10lb average $4.99, Toppits frozen cooked shrimp ring with seafood sauce 425 g pkg $11.99 save $8. Just a simple click on the image bellow for details Longo's 3-Day Sale Flyer Mat 12 to 14, 2017. Longo's Flyer Mat 12 to 14, 2017. Subscribe this category for more of Longo's Flyer products and deals.